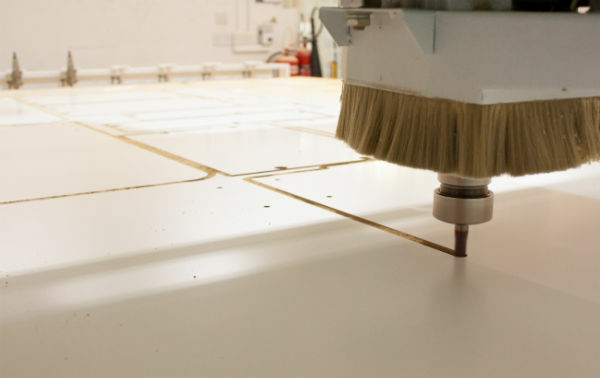 We recently made a six-figure investment to our factory in the UK with a new CNC machine. 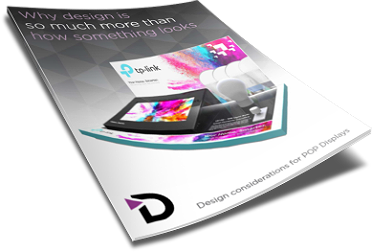 This has brought huge benefits to our capabilities at DisplayMode, and the quality of product and speed at which we can produce work for our customers. CNC (computer numerical control) machining refers to the use of computers to control machine tools in the manufacturing sector. Without CNC, manufacturing is reliant on manual or mechanical control. With CNC we automate much of the manufacturing process with the CNC machine working directly from the CAD (computer aided design). A Piranha to take bites out of POP Display manufacturing! CNC machining is a massive advance in the manufacturing world, allowing more accurate and speedier output. Ability to change heads very quickly means less down time and lower costs. Lasers certainly have their place in the world of manufacturing, and we ourselves use them, but in certain situations CNC has a distinct advantage. 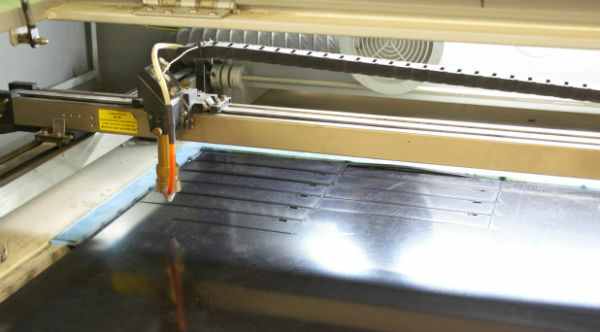 Lasering creates issues for materials that are pre-printed; the lasers often cause scorching or crazing which means, for example, that artwork cannot be taken all the way to the edge. This is not the case with CNC. CNC gives us additional capability and flexibility. We also use lasers when they are the best tool for the job. 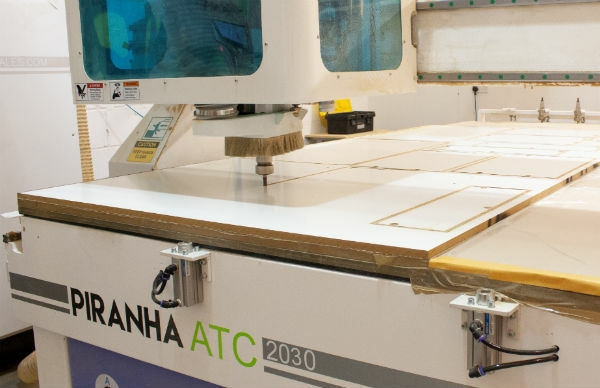 What does a CNC machine do for our customers? 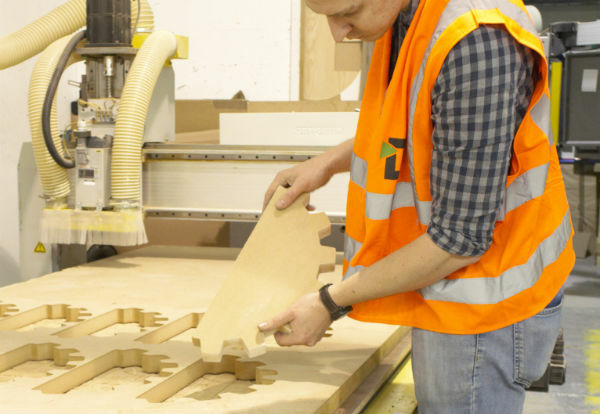 Projects come in all shapes and sizes - no problem for our CNC machines. 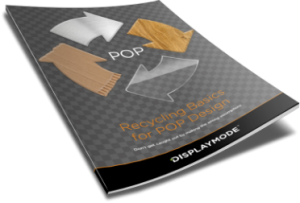 Better control – unlike lasers, CNC enables us to work with bleeds and trim accordingly and as needed; we can cut right to the edges which gives our designers more flexibility and avoids workarounds having to be designed in. The CNC machine has brought huge productivity gains to our factory. We have reduced downtime, improved processing speeds, and are producing the highest quality product with an intricate level of detail for our customers. Our improvements have brought cost savings which we are able to pass on to our customers, and they also benefit from our improved capabilities, superior quality and quicker timescales. We love this picture - says it all. You can really understand our work!